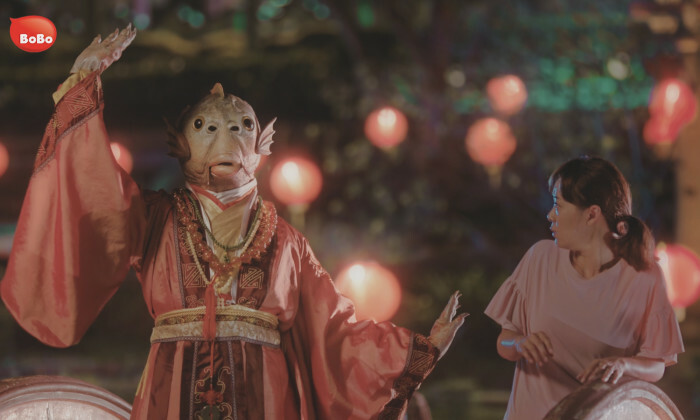 Over the course of the month, BoBo, known for its fishball and fishcake products, launched a web series starring entertainer and host Roz Pho (pictured right), directed by production house Savour.Love. The web episodes covered many things – the importance of family as well as self-love. Called “BoBo’s 3 Wishes”, not only were the episodes interspaced with random appearances of BoBo product placement, the main character’s name, played by Pho, was also Bobo Lim. In a conversation with Marketing, Vanda Lim, marketing executive at BoBo, said the campaign’s key branding message was “appreciate the little things in life (such as humble BoBo fishballs) and cherishing each day to the fullest”. The campaign also targeted young families with working parents, with a focus on working mothers juggling family and working life. “We find that working mums have very challenging lives and we hope to take this opportunity to appreciate what they have sacrificed,” Lim added. The web series stars a young mother who feels under appreciated by her husband and child, only to be granted the opportunity to have three of her wishes fulfilled. This allows her to try her hand at fame, fortune and success – with a good looking model version of her husband to boot. However, as the story progresses, the protagonist starts to question what truly is important to her in her life. The main objective of this campaign was to heighten brand awareness, strengthen brand differentiation. It also looks to reinforce the BoBo brand as one which is family-oriented and emphasises on strong values such as family and love. When asked why the brand decided to take on a web-series as opposed to the usual ad, Lim added that its marketing team wanted something which could resonate with audiences and be enjoyable at the same time. “As such, we thought that a movie-like video would be best to reinforce BoBo’s branding message(s). We also wanted the video to be sharable on Facebook, our main platform of delivery,” Lim said. It was also the first time BoBo was delivering an advertisement with very strong focus on its branding message rather than our products itself. In addition, the video also allowed BoBo to reach and feel closer to its fans. The main platform of delivery was online through social networking and media sites, with TV as a supporting platform. It is also set to run for about three months over the year-end and New Year festive period. “As our main objective is brand differentiation and awareness, success of this campaign would be largely based on strong brand distinction social mentions. Through this we are looking to foster personal connection to the BoBo brand, leading up to sales conversions and brand loyalty,” Lim explained when asked about how the measure of success would be. The brand worked with local production house Savour.Love for creative direction and production of the series. Meanwhile, all its digital content, social media marketing, and PR are managed in-house. Doctoroff will join electric vehicle startup Evelozcity as global head of marketing, according to his personal LinkedIn account. .. Ad tech company Gravity4 has acquired a 93.7% ownership stake in Pixels to gain entry into the South East Asia and Hong Kong marke..
Named after a quirky Filipino street food, Balut Radio is the TV network's answer to Pandora Radio, which lets users have more con.. The campaign aims to embody 'protection by all means' in a more tangible way for people to better understand and visualise what t..